Gregg Allman received an all-star salute during the Skyville Live performance in Nashville on Dec. 11. Little Big Town sang harmonies on the Allman Brothers’ “Midnight Rider,” while Chris Stapleton stepped out for “Whipping Post.” Blues great Taj Mahal also offered his version of “Statesboro Blues” with Allman. Other highlights of the night included Taj Mahal’s “Cakewalk” and “Walking Blues,” as well as Little Big Town’s “Boondocks,” “Girl Crush” and “Stay All Night.” In addition to his performance of “These Days,” Allman joined the cast for a finale of “One Way Out.” The next filming of Skyville Live will take place on Jan. 28. 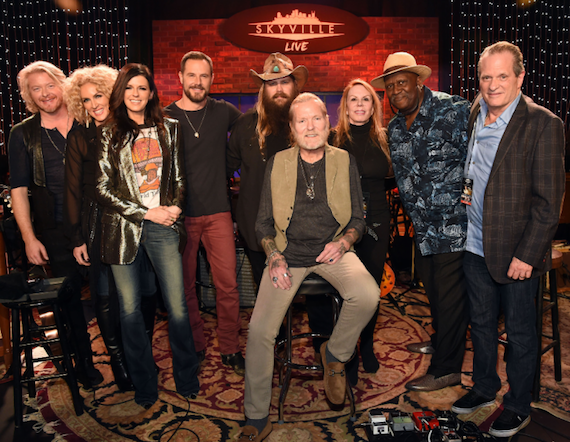 Pictured (L-R): Philip Sweet, Kimberly Schlapman, Karen Fairchild and Jimi Westbrook of Little Big Town; Chris Stapleton; Gregg Allman (seated); Tisha Fein, Skyville Live; Taj Mahal; Wally Wilson, Skyville Live. Photo: Rick Diamond, Getty Images for Skyville Live. Brenda Lee was surprised with a birthday cake during her Christmas-themed performance at the Country Music Hall of Fame and Museum’s CMA Theatre on Dec. 9. During the show, Ricky Skaggs and The Whites led the audience in a sing-along of “Happy Birthday.” The show marked Lee’s first-ever ticketed performance in Nashville. The “Rockin’ Around the Christmas Tree” singer was inducted into the Country Music Hall of Fame in 1997. 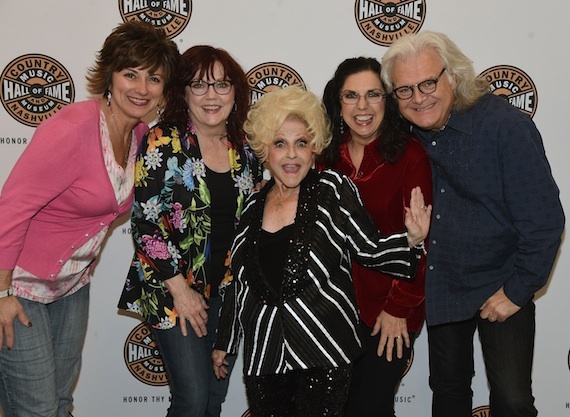 Pictured (L-R): The Country Music Hall of Fame and Museum’s Sharon Brawner, Cheryl White, Brenda Lee, Sharon White, and Ricky Skaggs. 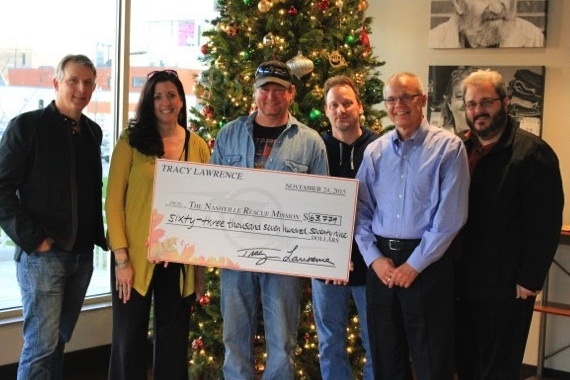 Tracy Lawrence and a group of celebrity friends raised more than $63,000 for the Nashville Rescue Mission at the 10th Annual Mission: Possible Turkey Fry on Nov. 24. This year’s event included Lawrence’s first concert at City Winery with performances by Charlie Daniels, Halfway to Hazard, Lorrie Morgan, Darryl Worley and Brad Arnold of 3 Doors Down. Pictured (L-R): Steve Emley, Fitzgerald-Hartley; Cheryl Davis, Sr. Director of Development at Nashville Rescue Mission; Tracy Lawrence; Chuck Pursel, Lawrence’s tour manager; Rev. Glenn Cranfield, President/CEO at Nashville Rescue Mission; Patrick Thomas, Silverfish Media. Photo: EBMedia.